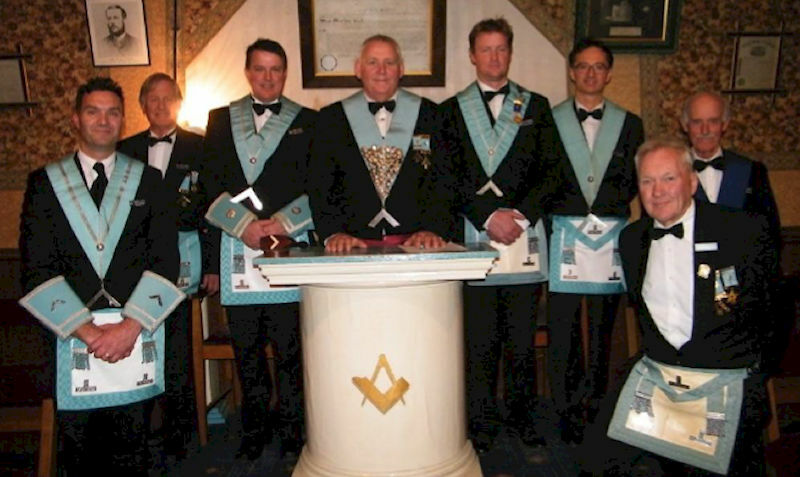 One of the important Lodge meetings each year in the Central Otago area is the “Central Otago Masters’ Night” where the Masters of the nine Lodges fill the offices of the host Lodge to conduct a Degree ceremony. The Cromwell Kilwinning Lodge 98 hosted the 2017 Masters’ Night and passed Bro Chris Byrne (Lodge Wanaka 277) to the Fellowcraft Degree. 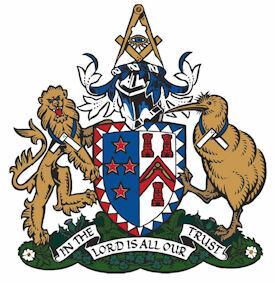 As will be noted from the badges on the Master’s collar, this annual gathering of Central Otago Masters has been going for some years now and it is wonderful to see the support that it continues to receive – the chair is filled on a rotating basis, with Lake Lodge of Ophir hosting the 2018 meeting. The collar is passed to the next hosting Lodge at the conclusion of the Lodge meeting. Chair necessity... Lodge Manuherikia Kilwinning members (from left) Les Young, Lindsay Bain, Bert Kemp and John Matheson, Molyneux Aquatic Centre team leader Anna Koehnlein, with Lodge Manuherikia Kilwinning Master Aaron Dyson sitting in the new mobility chair the Lodge donated to the pool. 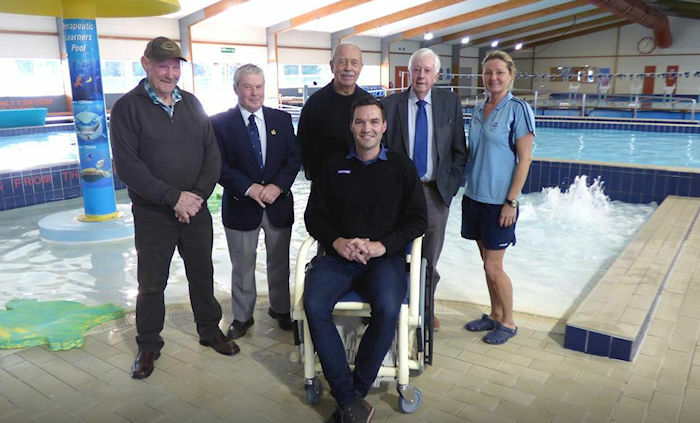 The Molyneux Aquatic Centre has welcomed a new aquatic wheelchair, thanks to a generous donation from Lodge Manuherikia Kilwinning. Molyneux Aquatic Centre team leader Anna Koehnlein said the wheelchair, which the pool received about three weeks ago, was all about improving accessibility. The mobility chair could be used to transport people both to and from the water’s edge, as well as to other areas such as the showers, she said. One client used the chair about five times a week, she said, making it an essential service. For some people, swimming was the only suitable form of exercise, and was important for muscle rehabilitation work and building confidence, she said. “It makes a big difference for the ones that need it. “Without it they wouldn’t even come". The wheelchair replaced and earlier model the swimming pool had used since 2003. After being approached by a pool staff member about the need for a new chair, the Masonic Lodge stepped in and gave about $3500 to cover the cost of the purchase. Masonic Trusts have a history of donating money to community organisations and projects. Earlier this year, the Otago MasonicTrust donated $20,000 to Central Otago community organisations as part of its annual grant scheme, and the 13 lodges within the Otago Lakes District area last year raised $54,000 for the Otago Regional Rescue Helicopter Trust, with support from the New Zealand Freemasons. Rather than holding fundraising events, Masonic lodges usually receive donations and bequests, ensuring any grants or donations are new money for the community. 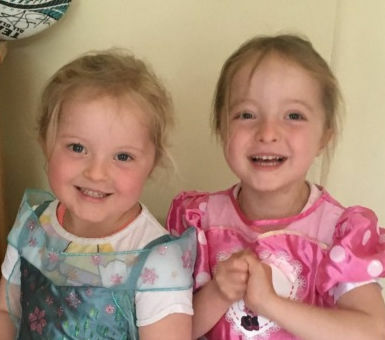 To those lodges that were waiting to hear from me re the collection for the four year old twin Charlee Mclachlan from Duntroon in Nth Otago who has to raise $120000 to travel to America for an operation for cerebal paisy I can advise that Lodge Kurow has given us the OK to proceed. I understand that the girls Grandfather was a Past Master of Lodge St Augustine No 99 in the 1980s and the girls mother spent a fair bit of time in Mid-Canterbury. Lodge Kurow has approached the other Lodges in Nth Otago and between them and the lodges in the Midland District hopefully we may make a difference to this young girls life. The Sophia Street Car Park Trust has already made a generous donation of one thousand dollars to set this appeal going, and any donation will be thankfully received.